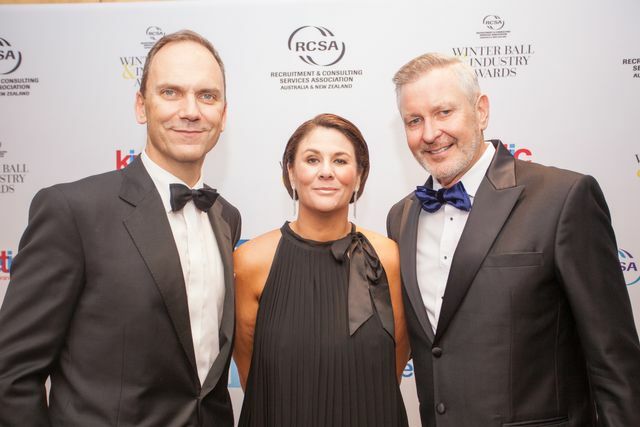 Last Thursday night at the RCSA Awards (Recruitment Consulting Services Association) I was honoured by my peers and industry body as I was made a life member. Being privileged enough to call recruitment my career for the last 25 years, the life membership is an honour I will treasure forever. In fact, I am still grinning from ear to, ear. Committed for Life! When I embarked on recruitment I was fortunate enough to work for organisations that like me, saw the importance of the industry body and being connected by a common goal and drive for a sustainable and professional industry. I am proud to call myself a recruiter, it is my craft and my profession. I have continued to build my skills to this day with the support of the RCSA. I have mentored up and coming professionals. I have been a sponge soaking up gems from all those I engage with. I have always been driven in my career by wanting to have impact and influence and this is the very reason I got involved in our industry body. I learnt very quickly that there are many people who will stand on the outside and criticise but if you want to make a difference you roll up your sleeves and get involved. As an active RCSA member, I was exposed to lobbying with governments to position and profile the work our industry performs, to driving our first ever New Zealand symposium across government, unions and industry. It’s important whatever role you play – you make it a vocal and active one. Did I agree all the time, no, did I get frustrated at times, absolutely but I was committed, it’s like voting or not. If you don’t vote you can’t complain about the outcome if you have a voice use it, but use it positively! That doesn’t mean group think, it means to be willing to challenge, question and be prepared. Whether you are the lawyer, the baker, the candlestick maker if your industry has a governing body get committed for life, it’s worth it. Great speech by Charles Cameron at the #RCSAawards. Yes. We change lives @rcsa_official. Thank you Ross, woken up this morning smiling and feeling incredibly honoured. #RCSA Awards.